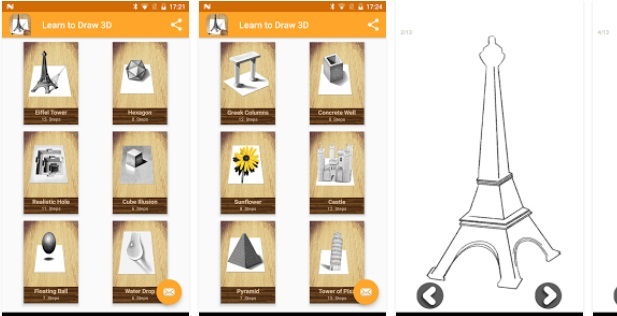 Learn to Draw 3D app is an interesting 3D learning app which helps you in learning step by step the skill of drawing 3D pictures. This app demonstrates and teaches you how to create an anamorphic pencil drawing or draw in three dimensions. The anamorphic image is a deformed image. You can Learn draw 3D App the possibly the best way to expand on and improve children’s skills. Drawing stimulates brain development. So drawing is good for kids so that their creative mind increases.